Grab your bros and get ready for the best night of college fun in central London! 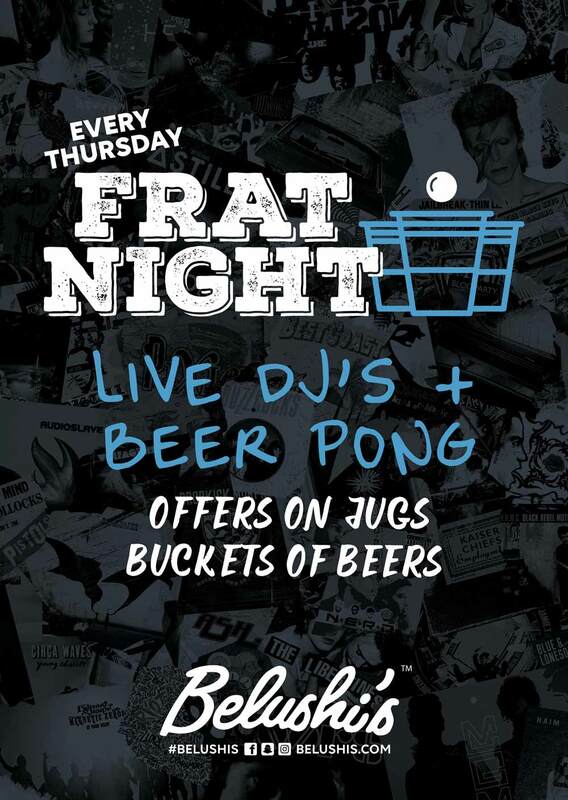 Every Thursday, come down to our legendary Frat Party and challenge yourself with a game of Beer Pong! With discounted jugs of beer and cider, it’s worth giving it a go! Don’t miss out kickass offers on bucket of beers and keep the party going with our resident DJ sessioning until the early hours!